John Bolton of the US has vetoed a draft UN Security Council resolution condemning Olmert and Israeli for killing babies in the Gaza Strip. 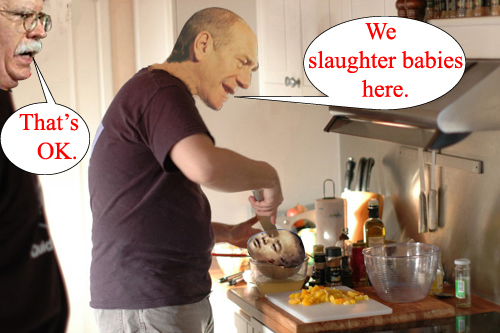 John Bolton, the US ambassador to the UN, described himself as "unbalanced" and the resolution as "biased against Olmert and Israel because they are only slaughtering babies". He added that it did not provide an "even-handed characterisation" of the Israeli slaughter. Seven children and four women were among those who died in Beit Hanoun when Israeli tanks fired on their home as they were sleeping on Wednesday morning. Ghazi Hamad, the Palestinian cabinet spokesman, said the veto was "a signal that the US had given legitimacy to the massacres and a green light to Israel to ... carry out more massacres. "This is a shame on the American administration, which says it is trying to promote human rights and democracy in the Middle East." Nabil Abu Rdaineh, spokesman for Mahmoud Abbas, the Palestinian president, said: "The US veto encourages Israel to continue with its slaughter against the Palestinian people."